A bar in Columbia Heights is setting up its Festivus pole in anticipation of an annual holiday tradition. The Airedale (3605 14th St. NW) is scheduled to hold its second annual “Festivus for the Rest of Us” party this Friday, Dec. 23, at 7 p.m.
Keeping with the tradition, the bar will have a Festivus-themed menu and cocktails and holiday events. 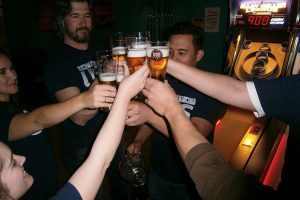 Patrons should expect to air grievances and perform feats of strength, as well, the bar said. Bar versions of “Wheel of Fortune,” “Weakest Link” and “Family Feud” are coming soon to a hangout in Dupont Circle. United Social Sports, a local events company, plans to add a Sunday night “game show” league to its lineup of winter bar games, according to company founder Robert Kinsler. The new game show night is scheduled to launch at Buffalo Billiards (1330 19th St. NW) on Jan. 29 and possibly also Songbyrd Music House and Record Cafe (2477 18th St. NW) soon after. The games will be slightly altered to allow the maximum number of competitors at a time. The company first “beta tested” its new game show-themed league earlier this year. If the latest round of game show events takes off, Kinsler said it will become a permanent fixture in the United Social Sports lineup. Registration costs $49. Those interested in joining the game show league can sign up on the company’s website. ‘Tis the season for holiday-themed events. 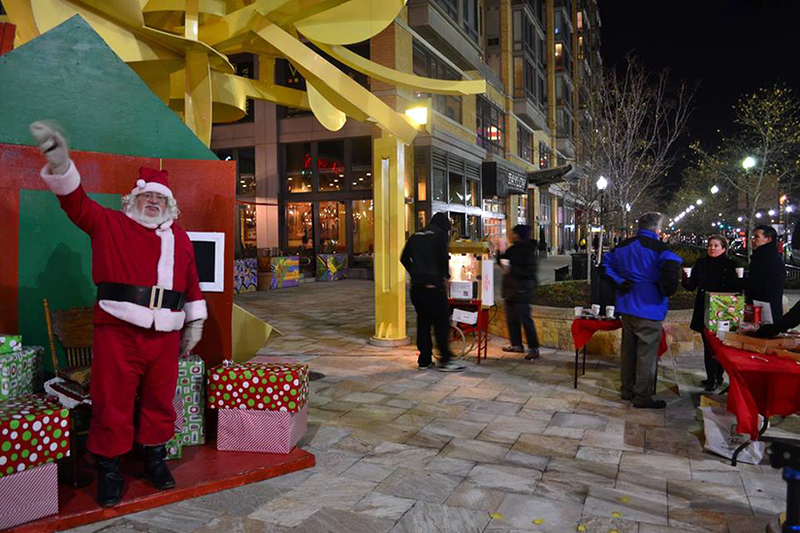 Mount Vernon Triangle CID is scheduled to host its annual “Santa Celebration” on the plaza at 5th and K streets NW this Saturday, Dec. 10. The holiday-themed event kicks off at 11 a.m., organizers said. The free event includes photos with Santa for kids, adults and dogs, hot chocolate, fresh popcorn, holiday cookies and festive music, according to a Facebook event post. Attendees can also drop off new, unwrapped toys to contribute to Central Union Mission’s Operation Christmas Miracle. 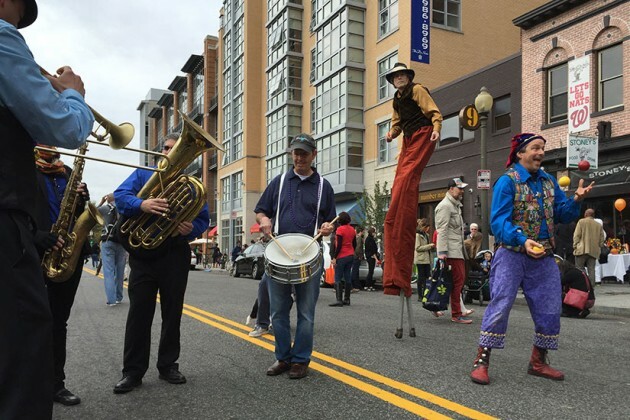 Terrifying Christmas creatures will march down H Street during an annual holiday celebration this weekend. D.C.’s “Krampusnacht” festivities kick off at Gallery O on H (1354 H St. NE) this Saturday at 5 p.m. 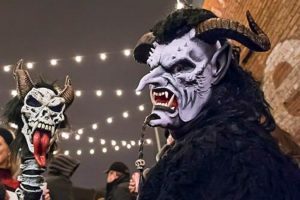 The event is centered around the mythical Krampus, a cloven, horned monster that punishes naughty children around Christmas each year. Legend has it that the Krampus appears alongside Saint Nicholas to shake chains, flick its tongue and cart off misbehaving children in a sack it wears on its back. 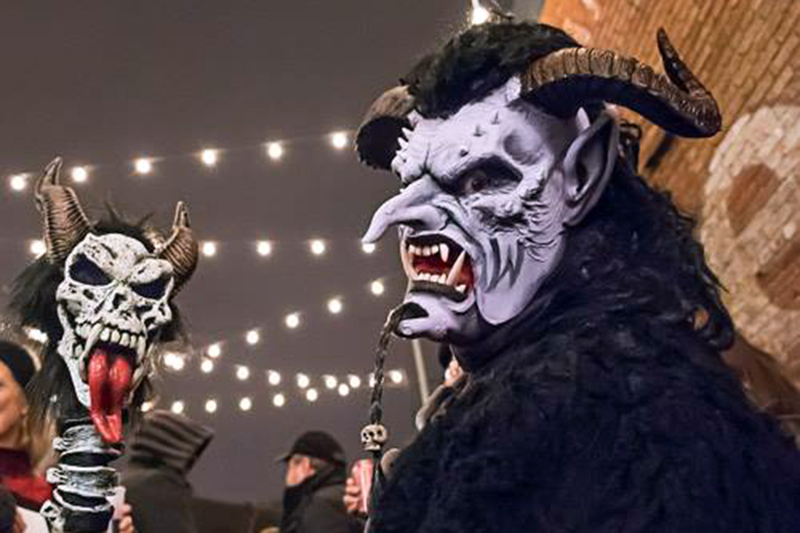 This year’s Krampusnacht celebration will include a charity benefit, live musical performances and of course, the big Krampus march down H Street. 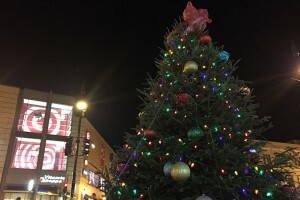 A crowd is expected to gather in Columbia Heights this weekend to watch a big tree light up for the holiday season. The Columbia Heights Initiative is scheduled to host the 6th annual Columbia Heights Tree Lighting Extravaganza in Civic Plaza this Saturday, Dec. 3, at 6:30 p.m. The festive party will include the tree-lighting ceremony, free cocoa, candy canes, carols and “perhaps even a visit from Santa,” followed by festivities at local businesses and restaurants, organizers said. The community group is also looking for volunteers to help out with the event. 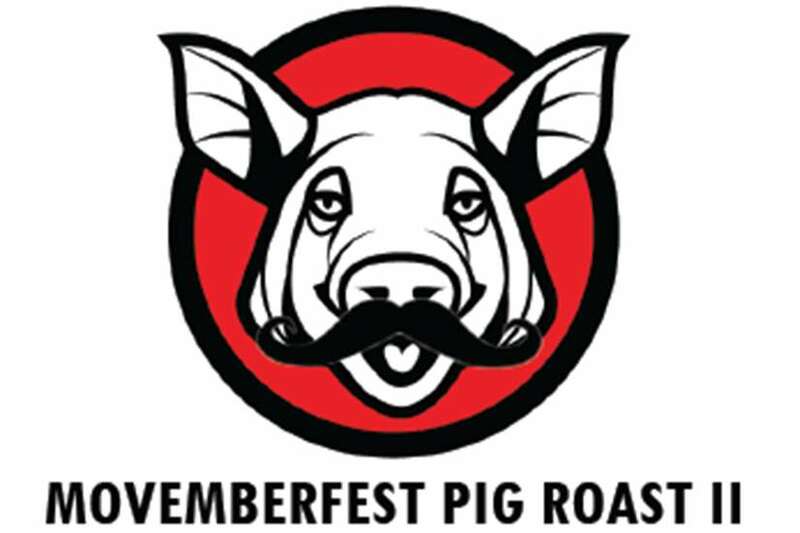 A bar on H Street plans to go whole hog during a charity feast and party this weekend. 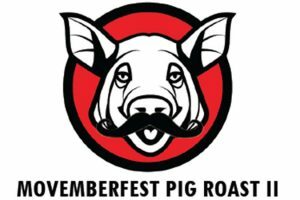 Little Miss Whiskey’s (1104 H St. NE) is scheduled to host its second annual “Movemberfest Pig Roast” Saturday at 3 p.m. The event is set to feature an all-you-can-eat feast from Queen Vic chef Ryan Gordon and bottomless booze from local brewer DC Brau. Tickets cost $60 per person. A portion of all proceeds go toward the Movember Foundation, a nonprofit aimed at aiding men with physical and mental health issues. Bloomingdale residents will have a chance to sample piping hot bowls of chili from local restaurants during a community festival this weekend. 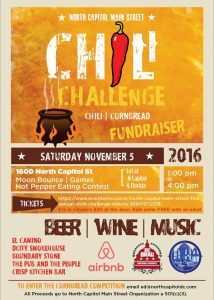 The North Capitol Main Street organization is scheduled to hold its first annual chili cook-off at the lot at North Capitol St. and Florida Ave. NW on Saturday, Nov. 5, from 1-4 p.m.
During the event, five neighborhood restaurants will go “toe-to-toe” to see who can whip up the most flavorful pot of chili. 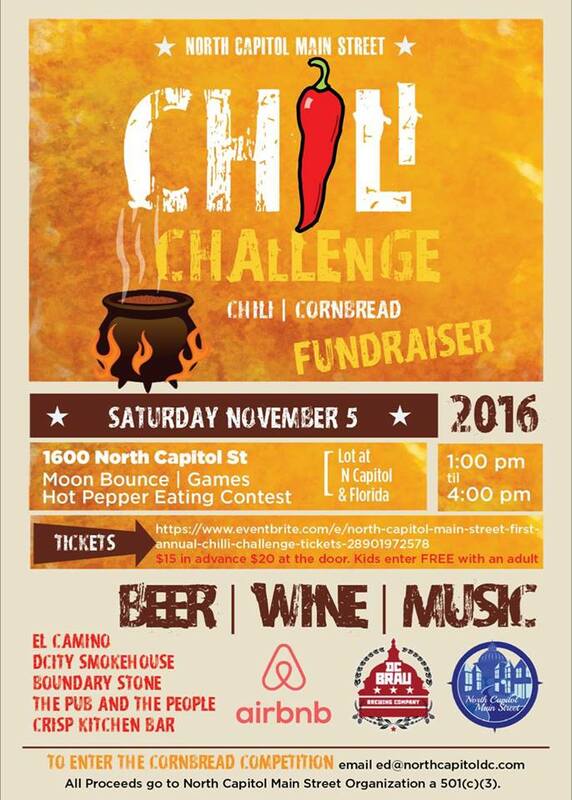 The event will also include a moon bounce, games, beer from DC Brau, wine, live music, a hot pepper eating contest and a cornbread baking competition. Tickets cost $15 ahead of time, $20 on the day of the event. All proceeds go toward the North Capitol Main Street organization. Halloween is nearly upon us, which means it’s time for ghouls and goblins and witches and warlocks and Donald Trump costumes. Black Cat (1811 14th St. NW) is hosting a “Halloween circus” with burlesque performers and musicians. Doors open at 8 p.m.
Heurich House (1307 New Hampshire Ave. NW) is hosting a film screening of the classic Fritz Lang film, “M,” at 6 p.m. Tickets cost $20. Dupont bar Dirty Martini (1223 Connecticut Ave. NW) will hold a costume contest and Halloween-themed event during its usual “dirty Fridays” time slot. The event kicks off at 10 p.m.
Eat the Rich (1839 7th St. NW) is set to host “pirate weekend” tonight through Sunday. All patrons in pirate costumes get 15 percent off their bill. 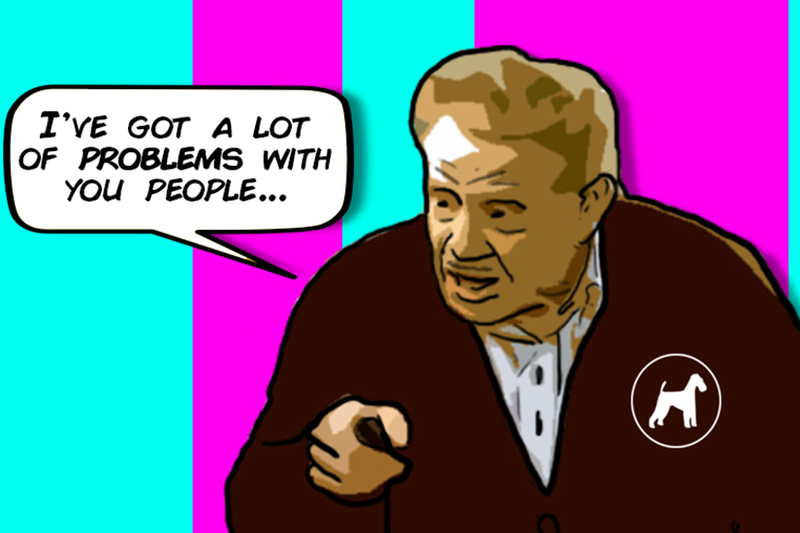 Barcode’s “Nightmare in the Capital” is back from the dead. The bar at 1101 17th St. NW will have live DJs starting at 10 p.m.
Duffy’s Irish Pub (2106 Vermont Ave. NW) plans to throw a Halloween bash starting at 9 p.m. The party will include an open bar, free appetizers and a costume contest. Tickets can be purchased here. 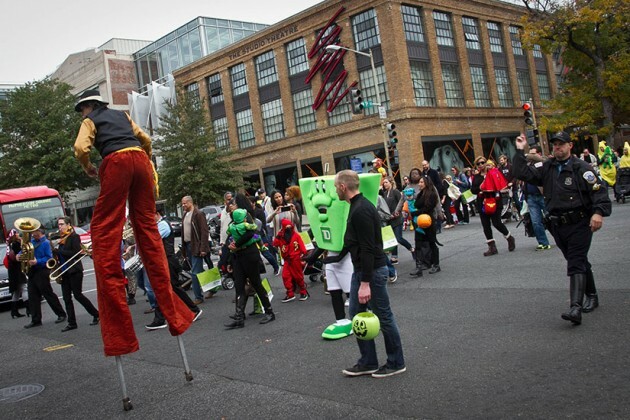 Annual bar crawl Nightmare on M Street returns to bars across Dupont starting at noon. Dupont Circle’s Fantom Comics (2010 P St. NW) will have a “Stranger Things” theme party with drinks, ’80s costumes and a scream contest. Admission into the event is $10. Another ’80s-themed party will take place at Black Cat at 9:30 p.m.
“Zombies, police officers, superheroes, nurses and everything in between” will flock to U Street rooftop hangout Hawthorne (1336 U St. NW) at 9:30 p.m. for a party featuring drink specials and a costume contest. Town Tavern at 2323 18th St. NW is scheduled to host a “Monster Mash” party to celebrate the spookiest holiday of the year. “Suggestive pumpkin spice lattes” are encouraged to head to Mellow Mushroom (2436 18th St. NW) for the restaurant and bar’s Halloween party. The Saloon (1205 U St. NW) will hold this year’s Heart’s Collective bash, an event that promises DJs, artwork and festive lighting. Tickets cost $10. Uproar, the rooftop bear bar at 639 Florida Ave. NW, will become a “house of horror” where patrons are encouraged to “haunt it” if they’ve got it. Tropicalia (2001 14th St. NW) will host a Thriller-themed party starting at 9 p.m. The person wearing the best costume will receive $250. Number Nine (1435 P St. NW) hopes to “make you scream” during a “Scream Queens” event with DJs spinning tunes from pop queens. Nellie’s (900 U St. NW) will have a costume contest where patrons compete to win $250. Dupont bar McClellan’s Retreat (2031 Florida Ave. NW) will be haunted by cocktail specials and ’80s music. 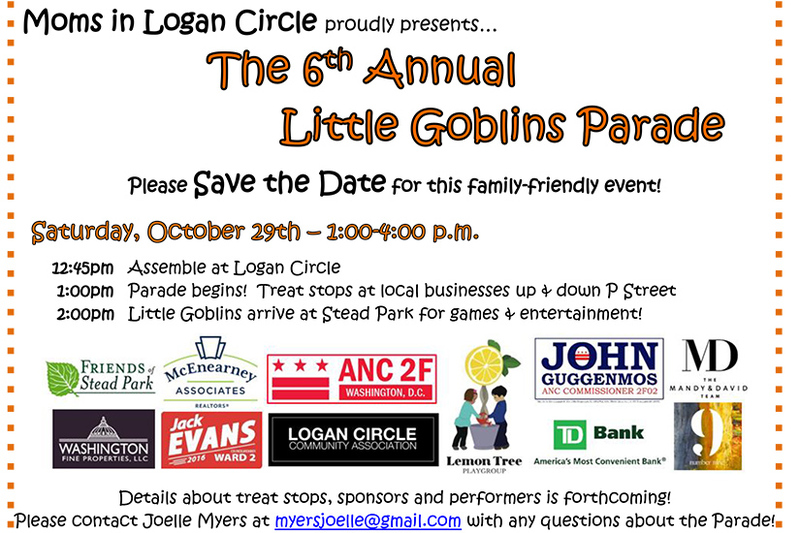 This year’s Little Goblins Parade will begin at Logan Circle on Saturday, Oct. 29, at 12:45 p.m. This is the sixth year that costumed little ones have paraded through the neighborhood. 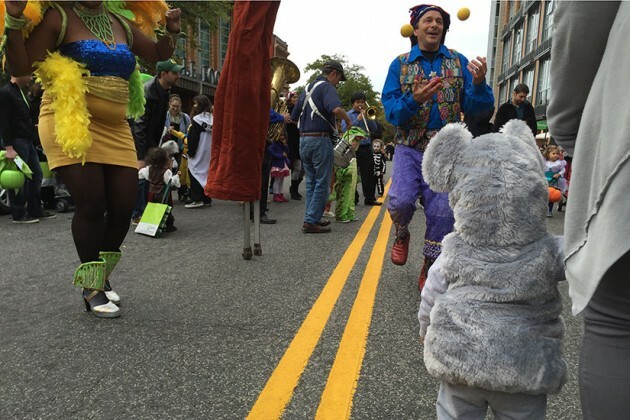 A Halloween-themed morning rave and yoga session comes to U Street Music Hall (1115 U St. NW) at 11 a.m. The Howard Theatre (620 T St. NW) will host a storytelling show with “true stories about ghosts, devils, and things that go bump in the night” as part of the Bentzen Ball at 7 p.m. Tickets are $20 or more. A Russian Halloween costume party kicks off at Mari Vanna (1141 Connecticut Ave. NW) at 10 p.m. Costumes are allowed (and even encouraged) at this event at The Brixton at 6:30 p.m. The house band will judge patrons’ costumes and award gift certificates to the bar. Flaming drinks, pineapples and zombie cocktails come together to form Archipelago’s (1201 U St. NW) Halloween party. The tropical bar will also host a Magnum P.I. costume contest during the event. The Downtown BID is organizing a three-minute flash mob that will be performed downtown. Here’s how to join in on the fun. Kids will be able to trick-or-treat in Columbia Heights during an event put on by the North Columbia Heights Civic Association, 11th and Bark and the 11th Street D.C. organization. 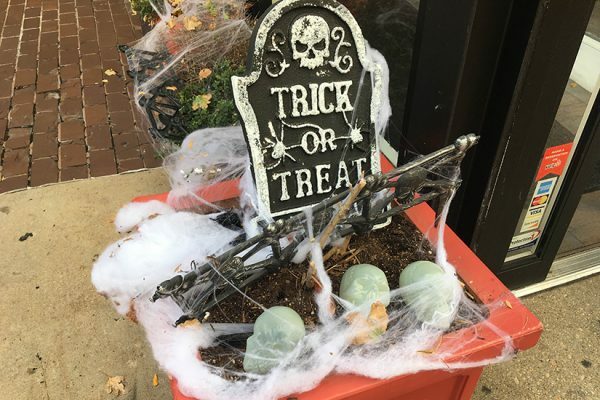 The fun begins at Trolley Park (the corner of 11th and Monroe streets NW) at 9 p.m. and will include games, treats and a costume contest for children. Typecase Industries (2122 8th St. NW) hopes to start a Halloween tradition with its first-ever “Nightmare on 8th Street” party. The event will have drinks, snacks and a costume contest. Have a scary long beard? Show it off during the “Beers and Beerds” event at Songbyrd Music House and Record Cafe in Adams Morgan. S Street Dog Park will host its annual dog costume contest in the park at at 17th and S St. NW starting at 6 p.m.
Trick-or-treaters will find candy and comics at Fantom Comics between 11 a.m. and 6 p.m.
D.C. Police will host Halloween parties in all seven of its police district Saturday, Sunday and Monday. The “vintage-inspired” ride will launch from a “secret location” next Sunday, Nov. 6, from 1-4 p.m., according to its organizers. D.C. Tweed Ride usually takes cyclists through some of the District’s scenic parks and thoroughfares. Along the way, riders will stop for breaks, snacks and probably also to pose daintily. After the ride, the group will end up at Roofers Union (2446 18th St. NW) for a “jazz-age jam” party. “The party will be going strong from 5:30 to 9 p.m., and will feature the legendary Dandy Wellington and His Band, the Fidgety Feet Dancers, food, drinks, and the most stylish dandies and dames on this side of the Atlantic,” an Eventbrite page for the ride reads. 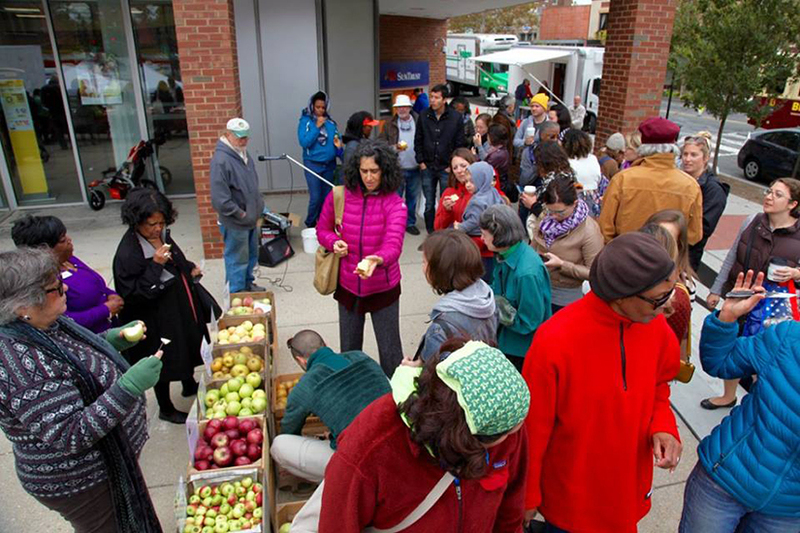 A celebration centered around apples and apple pie will take place in Adams Morgan this weekend. 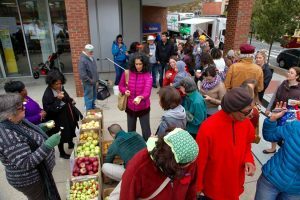 The second annual Adams Morgan Apple Festival kicks off Saturday, Oct. 29, at 10:30 a.m., at SunTrust plaza (18th Street and Columbia Road NW), according to the event’s Facebook page. The festival will feature an heirloom apple tasting from Licking Creek Bend Farms and an apple pie baking contest set to be “judged by a distinguished panel of media personalities and culinary experts,” organizers said. Attendees who want to submit pies for the competition must bake a minimum of three and list the pies’ ingredients to accommodate dietary restrictions. All proceeds from the event will help benefit the DC Arts Center. Local pups can dress up in funny costumes, then get their photo taken at a pet shop in Dupont this weekend. The Cheeky Puppy (1709 Connecticut Ave. NW) is scheduled to host an open house and “Politics Is Scary” photo shoot with a professional pet photographer Saturday. Proceeds help benefit pet adoption organization Lucky Dog Animal Rescue. Additionally, between noon and 3 p.m., all dogs in costume will be entered into the store’s social media costume contest. Whichever dog gets the most combined likes from the shop’s Facebook and Instagram pages as of 5 p.m. Sunday will be our next Borderstan Pet of the Week. Join us for a Halloween Open House on Saturday, October 29th Sponsored by Borderstan! 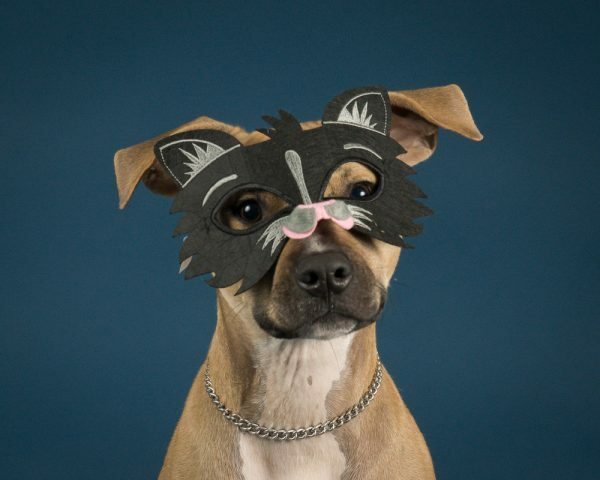 From 12 p.m. to 3 p.m., all dogs in costume will be entered into our social media costume contest. The photo with the most combined likes from our Facebook and Instagram feeds as of 5PM on Sunday, October 30th, will be Borderstan’s Pet of the Week on Monday, October 31st. Our Halloween Open House will also include photo sessions with Outside the Lines Pet Photography from 11 a.m. to 5 p.m. Have your pup photographed in costume – or in an appropriately political stance – complete with an American flag! Pre-registration is required and proceeds from the $40 session fee benefit Lucky Dog Animal Rescue. We’ll be joined by lots of adoptable pups in need of good homes who are being fostered by Lucky Dog. We can’t wait to celebrate Halloween with you! Scores of people are expected to line up along a portion of 17th Street NW tomorrow night to watch runners in high heels and larger-than-life costumes sprint down the block. The 30th annual 17th Street High Heel Race festivities kick off at 7 p.m. Tuesday, Oct. 25, according to organizers. Last year’s event drew thousands of people and dozens of runners dressed up as Michael Jackson, Queen Elizabeth, Dolly Parton and zombified drag queens. Ba’Naka and Birdie LaCage will both serve as grand marshal for this year’s race, just as they did last year. D.C. Mayor Muriel Bowser will also attend the event. The race will begin at 17th and R streets NW at 9 p.m. During the contest, runners in high heels walk, sprint and stumble toward the finish line at 17th and P streets NW. Crowds usually line up along 17th Street between R and P Street NW hours before the race, so attendees who want to get good photos or see the race up-close should arrive early. Those interested in running in the race can register at Cobalt (1639 R Street NW) any time before it starts. To work as a volunteer during the event, fill out this online form. The first High Heel Race was organized in 1986 by JR’s Bar and Grill. 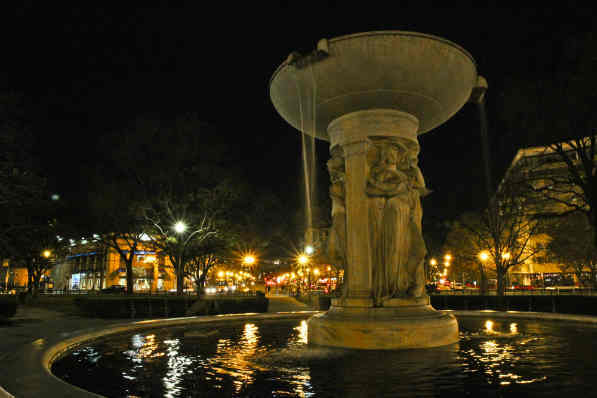 Since then, it has become one of Dupont Circle’s most popular yearly events and draws thousands of people annually. 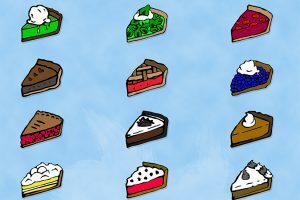 Amateur bakers and pie-lovers are set meet at an Adams Morgan bar this weekend for an annual pie party. The fifth “Pie Fest” kicks off at Bourbon (2321 18th St. NW) this Sunday at 1 p.m., organizers said in a press release. “How does it work? Bring a homemade pie to compete for prizes, or just come to eat and be merry,” the release reads. Attendees can gorge themselves on pie, then vote for their favorites in the following categories: apple, fruit, nuts, chocolate, savory, “piepourri.” The winners of each category will receive prizes, organizers said. Tickets cost $15 for competitors and $25 for eaters. All proceeds from the event will go toward the Jayna Troxel Murray Foundation. This year’s march will begin at Logan Circle on Saturday, Oct. 29, at 12:45 p.m. This is the sixth year that costumed little ones have paraded through the neighborhood. 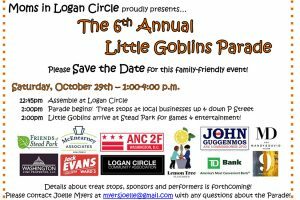 “Neighborhood little goblins, spooky and sweet, will take over the streets Saturday, October 29, and we could use a few pairs of hands to assist with passing out treats, street safety (MPD will also be on hand), and post-parade festivities,” said Joelle Myers, a co-founder of the parade. The parade needs about 20 volunteers to hand out candy and help keep things in order. Princesses, superheroes and even a little Kim Jong Un descended on Logan Circle in search of candy during last year’s event. Locals who want to help out can contact Myers by email.